Thank you for visiting our website! Dr. Jason J. Yoo welcomes you to our online website were many of your questions and concerns can be answered. Our practice is located in Herndon, VA, servicing all of northern Virginia's cities such as Reston, Sterling, Ashburn, Chantilly, Fairfax and more. At Capitol Rehab Chiropractic and Massage, our mission is to treat each individual patient's symptoms and healthcare needs to the best of our abilities. Our practice incorporates all aspects of healthcare, from preventive care to wellness, so our patients can lead long and healthy lives. Simply put, we provide outstanding chiropractic care for all of our patients, new and established. We specialize in treatments varying from headaches, shoulder, neck, low back, sports to auto and work related injuries. 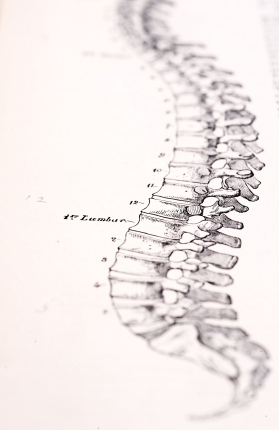 In conjunction with therapies such as muscle stimulation, therapeutic ultrasound, and other various treatment methods and techniques, we offer manual spinal adjustments that restore balance to the spine and help maintain the body’s health from the inside out. Our goal is to improve your life through the chiropractic adjustment and, ultimately, help you realize your body’s potential for self-healing. Dr. Jason J. Yoo, D.C.